If you’re like most people, your home is the biggest financial investment you’ll ever make. Even small improvements to your home can equal big returns later when you are ready to sell. 1. Bathroom. Remodeling is a great way to increase your home’s value, but chances are you do not have the time or money to remodel every room of your home. If you are going to remodel only one room in your house, the outdated bathroom is a good choice. And if you can’t completely remodel your bathroom, there are still small changes you can make on a small budget. Minor updates like getting new light fixtures, stripping old wallpaper and replacing your shower curtain can dramatically improve your bathroom’s overall appeal. 2. Go for Green. Energy efficiency is one thing that will never go out of style. Younger buyers are increasingly attracted to homes that are environmentally friendly and all buyers are intrigued by the prospect of low home energy bills. There are many ways to increase your home’s energy efficiency, including programmable thermostats and water-saving faucets. If you aren’t planning to move for a while, you may want to plant a few tall trees in your yard. The shade provided by trees can actually decrease your home’s cooling costs by as much as 40% and can also help improve your home’s overall curb appeal. If you are in more of a hurry to sell, you can instantly improve your home’s energy efficiency by swapping your old windows for heat-trapping windows. 3. Kitchen. Right after your bathroom, your kitchen is the next most important room you can update. It is particularly important to make sure your cabinets look clean and polished, since they can strongly impact a buyer’s perception of the entire room. If you have a larger budget, consider replacing old cabinets with new ones. And if you are working on a smaller budget, a fresh coat of paint on your cabinets can make a world of difference. 4. Landscape. You’ve probably heard it before, but the curb appeal of your home is hugely important. If new buyers notice that your yard has been ignored, they may assume there are other aspects of your home that have been neglected. 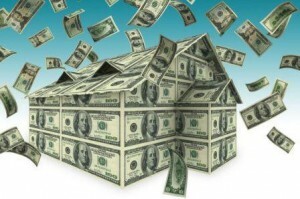 This might cause them to lose confidence in the value of your home. 5. Lighten Up. Good lighting in your home can make a big difference. It is especially important to invest in bright lights for smaller rooms in your home; bright lighting can make small rooms look more spacious. If you want to avoid a higher energy bill, a sun tube (a hole in your ceiling that funnels in natural light) can be a great way to brighten up a room without adding to your home energy costs. 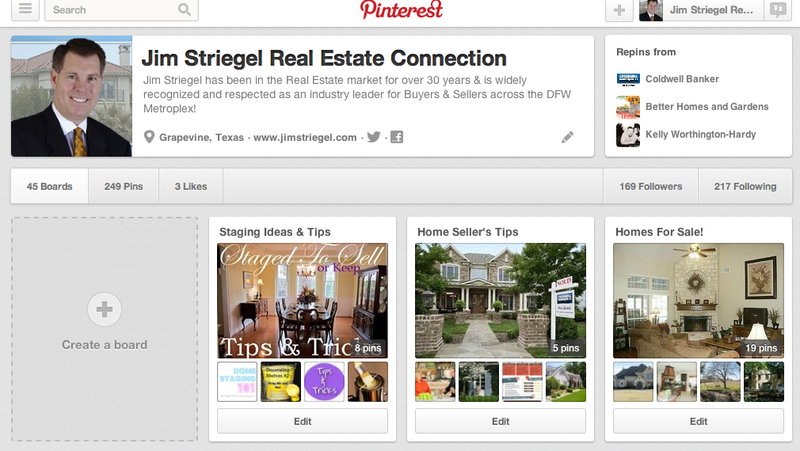 Join Us On Pinterest & Lets Follow Each Other Along For Inspiration, Advice & More! Picture a home with a shady backyard overflowing with blooming flowers, chirping birds, and a spacious deck to enjoy it all. That was the scene my husband and I stepped into during our first property tour with our Texas REALTOR®. We were smitten first-time buyers – until our Texas REALTOR® pointed out just how much water this meticulously landscaped backyard would need … during a drought. “Do you like gardening?” she asked. Dozens of plants that had wilted on my watch came to mind as she estimated the (expensive) investment the homeowners had made in their gorgeous garden. Home tours with our Texas REALTOR® were a stark contrast to our solo open-house visits just a weekend before. That landscaped charmer would’ve stayed on our favorites list because no one was asking us the tough questions. Or at least in this instance, the logical one. This is just one of the many ways our Texas REALTOR® keeps us first-time homebuyers focused as we look at potential properties. We felt totally clueless when it was just the two of us visiting open houses. 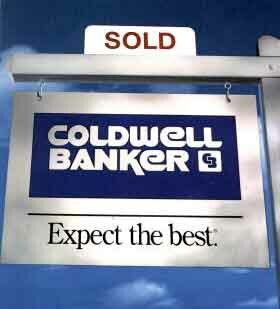 Now that we’re working with an experienced Texas REALTOR®, we’re much more at ease with the process. And we like it when she makes us think hard about what we’re looking for. I like to think I’m pretty good at research, and maybe you are, too. But when it comes to being a first-time homebuyer, the best resource you can have is a Texas REALTOR®. She can point out aspects of homeownership that you won’t find online. And in my case, a gentle reminder that a black thumb can be very expensive. Amazing Toll Brothers Home For Sale In Flower Mound, Texas! Over 1.5 Acres Of Prime Flower Mound, Texas Land & Home! Immaculate Grapevine, Texas Home On Cul De Sac For Sale! Great Opportunity for this Flower Mound, Texas Home For Sale! Beautiful Home With Country Living with Horse Property Too! Water heating is the third largest energy expense in your home. It typically accounts for about 16% of your utility bill. There are four ways to cut your water heating bills: use less hot water, turn down the thermostat on your water heater, insulate your water heater, or buy a new, more efficient water heater. A family of four, each showering for 5 minutes a day, uses 700 gallons of water a week; this is enough for a 3-year supply of drinking water for one person. You can cut that amount in half simply by using low flow aerating shower heads and faucets. * Install aerating, low-flow faucets and shower heads. * Repair leaky faucets promptly; a leaky faucet wastes gallons of water in a short period of time. * Take more showers than baths. Bathing uses the most hot water in the average household. You use 15-25 gallons of hot water for a bath, but less than 10 gallons during a 5-minute shower. * Insulate your electric hot-water storage tank, but be careful not to cover the thermostat. Follow themanufacturer’s recommendations. * Insulate your natural gas or oil hot water storage tank, but be careful not to cover the water heater’s top, bottom, thermostat, or burner compartment. Follow the manufacturer’s recommendations; when in doubt, get professional help. * Insulate the first 6 feet of the hot and cold water pipes connected to the water heater. * Install heat traps on the hot and cold pipes at the water heater to prevent heat loss. Some new water heaters have built-in heat traps. * Drain a quart of water from your water tank every 3 months to remove sediment that impedes heat transfer and lowers the efficiency of your heater. The type of water tank you have determines the steps to take, so follow the manufacturer’s advice. * Buy a new energy-efficient water heater. While it may cost more initially than a standard water heater, the energy savings will continue during the lifetime of the appliance. If your current water heater is electric, consider switching to a natural gas water heater if gas is available. * Consider installing a drain water waste heat recovery system. A recent DOE study showed energy savings of 25% to about 30% for water heating using such a system. * Consider demand or tankless water heaters. Researchers have found savings can be as much as 34% compared with a standard electric storage tank water heater. If you heat water with electricity, have high electric rates, and have an unshaded, south-facing location (such as a roof) on your property, consider installing a solar water heater. The solar units are environmentally friendly and can now be installed on your roof to blend with the architecture of your house. More than 1.5 million homes and businesses in the United States have invested in solar water heating systems, and surveys indicate over 94% of these customers consider the systems a good investment. 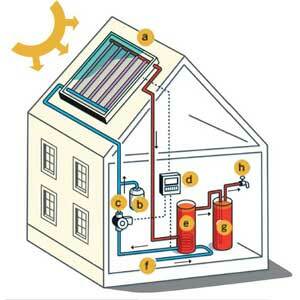 Solar water heating systems are also good for the environment. Solar water heaters avoid the harmful greenhouse gas emissions associated with electricity production. During a 20- year period, one solar water heater can avoid over 50 tons of carbon dioxide emissions. When shopping for a solar water heater, look for systems certified by the Solar Rating and Certification Corporation. Choosing The Right Closing Date & Why It’s Important! If you are buying a home, it is important for you to have a say in choosing your closing date. Selecting the right day can help you avoid spending unnecessary cash and reduce the odds that a deal-delaying mistake is made. “For most buyers, a home is the most important purchase they’ll make, and the closing is the beginning of it,” says Scott Penner, a real-estate attorney in Milford, Conn. If you’re buying a home and cash flow is an issue, choosing a closing date near the end of the month will reduce the amount of prepaid interest you have to pay, says Shandra Sullivan, a real-estate agent with Solid Source Realty in Atlanta. Typically, borrowers prepay interest to cover the period from the closing date until month’s end, and then they skip another month before their mortgage payment is due, she says. 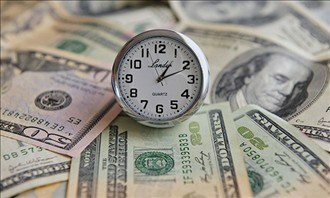 A closing on Jan. 1 requires more prepaid interest than a closing on Jan. 31, so scheduling a later date could help if closing funds are a concern, Sullivan says. However, this is more of a cash-flow strategy rather than a money-saving tactic, she says. “If you’re tight on cash and need to minimize the amount you bring to the closing table, there’s an argument that can be made to wait to close until later in the month,” Penner says. There is a potential drawback, however. Other buyers will likely schedule their closings at the end of the month for the same cash-flow reasons, causing a rush for lenders, says John Walsh, president of Total Mortgage Services in Milford, Conn. Real-estate expert Brandi Vanderbeek sheds light on closing costs and how to prepare for them. If the mortgage broker is backlogged or there’s a glitch somewhere along the way, the closing could be delayed into the next month. Walsh suggests a compromise: Schedule your closing sometime during the last two weeks of the month. This would cut down on the amount of prepaid interest and still give you enough wiggle room if your closing date is pushed back. Schedule the closing date around the time you are ready to take possession of your new home, Sullivan says. For some people, taking possession means moving in. For others, it is when they start renovations on the property, Sullivan says. Either way, she says many buyers make the mistake of scheduling the closing at the end of one month to save on prepaid interest, but then don’t take possession until the middle of the next month. “There’s no need to pay for a property you’re not utilizing,” Sullivan says. Instead, ensure the closing date is scheduled for when you are physically ready for your home, she says. Another tip is to coordinate the move-in date with the move-out date of the property you’re leaving. “You won’t have to pay for temporary housing before the move,” Sullivan says. Many owners want to schedule a closing right before a holiday so they can use the down time to move, Walsh says. A better choice is to schedule the closing within a few days of the holiday, not the last business day before, he says. “I wouldn’t schedule the Wednesday before Thanksgiving. If [because of a delay] you don’t end up closing on that day, you’re not going to close until the following week,” Walsh says. The same rule applies for Friday deals. “You get this mad rush to close right before those weekends, and many things are done last-minute,” Penner says. More mistakes can occur if people are rushing through their paperwork to beat the Friday deadline, he says. Instead, Penner suggests setting the closing date for the middle of the week, so that participants aren’t as hurried. When it comes to selecting the best day to close on a home, it’s important to prioritize time for funding and make moving arrangements. After that, homebuyers should work with their agents and lenders to find a date that’s good for all participants but that allows leeway in case there’s a small delay.